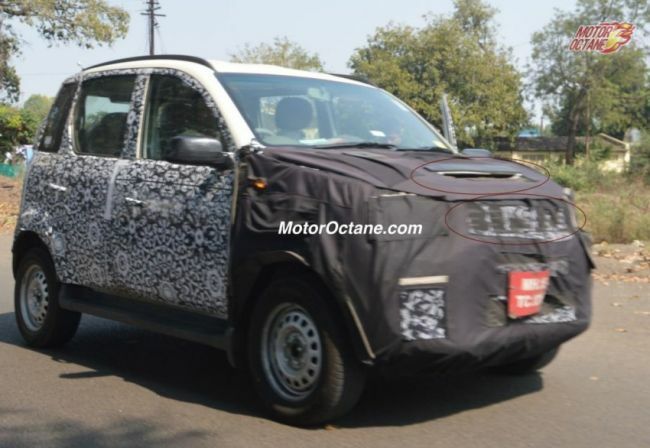 Mahindra Cresto – New name for Quanto Facelift? Popular Indian automaker, Mahindra might assign a brand new name for its upcoming Quanto facelift. Various sources like MotorOctane have reported that new Quanto facelift would be called as Cresto or as the Imperio. Mahindra has not yet officially confirmed the launch of Quanto facelift (a.k.a Mahindra Cresto). MotorOctane reports that they didn’t hear any official statement regarding the same. Mahindra Quanto is nothing but a shorter version of Mahindra Xylo and has not worked out that well for the company. The SUV manufacturer would be getting several changes on its compact SUV, as it would be directly targeting the urban car buyers. This new SUV from Mahindra features best-in-class features like LEDs, in-built infotainment system with bluetooth support, USB and aux. To be christened as Mahindra Cresto or Mahindra Imperio, the new compact SUV would be powered by a 1.5-litre diesel engine which the company calls it as mHawk100. The Quanto’s engine has the capacity to churn out a 100bhp of power and will be mated to a five-speed manual transmission gearbox. The Indian automaker has also got plans to get in a total of three SUVs, two are all-new and the Cresto model is going to be third one. The car is going to placed above the Mahindra TUV300 and it has been manufactured keeping the city users in mind. The car would also get an air-scoop on the hood in order to make it look muscular. The launch of Quanto facelift will be in next year and this can be one of the major launches for Mahindra as the UV1 (compact SUV segment) (one of the fastest growing segments today).